Early on in my career on Wall Street my direct supervisor suggested I spend the weekend learning data visualization (ie, chart, graphs, maps, etc). The course happened to be offered over a weekend so I was thrilled to be heading to midtown on a Saturday at 6am, but I'd heard enough positive feedback to give it a whirl. Long-story short is that this weekend on presenting data sparked a life-long love of data and ways to make it more interesting or more accessible. With that in mind, I thought I'd share a couple of cool maps I saw this weekend. 1) Admittedly this map is a bit old (2007 or so) but I love this format. 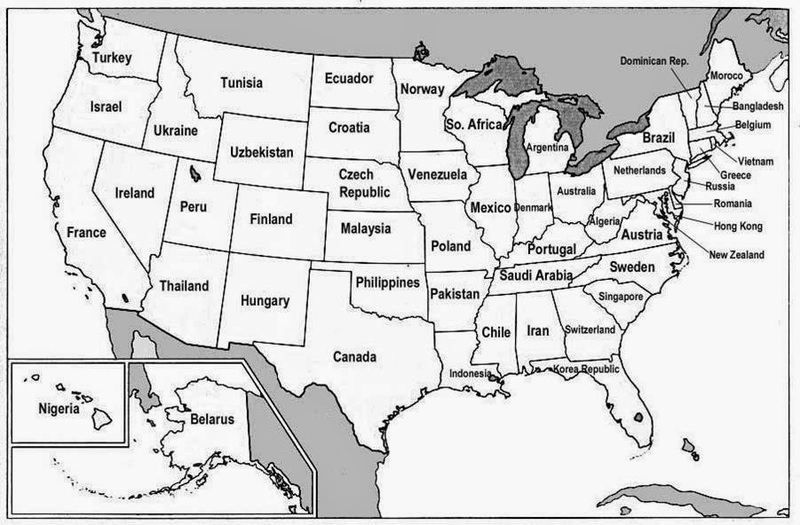 Instead of just listing US State GDP's they show the country that each state's GDP roughly equals. There are some really interesting things in this map. 2) This is another old favorite that shows the difference between economic power and land mass. 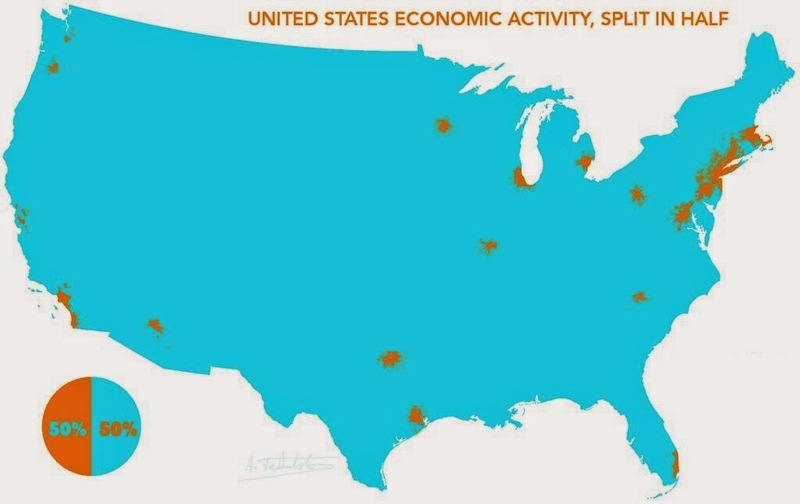 In this map, you see that 50% of US economic activity occurs in those tiny orange areas and 50% of economic activity occurs in the REST OF THE COUNTRY. That is a great use of a map. 3) While I admit that I was worried about the future of www.wunderground.com after The Weather Channel bought them in 2012, the latest modification of their website is the first major shift in weather forecasting & data presentation I've seen in 30 years. You'll have to click through here to see the complete picture. The forecast graph is loaded with valuable information. Instead of the generic information like hi/lo and wind speed ranges, you can see specific temperature, wind speed, direction and precipitation risk for any time of day in the next week. This really changes the way you consume weather information.